Bob Miller, Suzanne Oliver, the Delta Community Music School and the family of Dr. Don Burkett wish to announce that a music bursary has been created in Don’s name. It was two years ago on June 1, 2013 that our dear friend, father and husband left this world. The Dr. Don Burkett Memorial Bursary will be for the workshop held in conjunction with the South Delta Jazz Festival sponsored by the DCMS. This year’s workshop runs from July 7-11, 2015. The bursary will be in effect for this year and will continue for years to come. The jazz workshop was one of the highlights of Don’s year. Those who knew him understand how much he enjoyed playing the guitar and bass. He had a particular passion for jazz. Each year Don looked forward joyfully to being challenged and encouraged to take his playing to a higher level through the master classes offered at the workshop. He was also very supportive of young people just starting out on their journey into the genre of jazz. He will be very pleased to know this bursary has been established in his name. 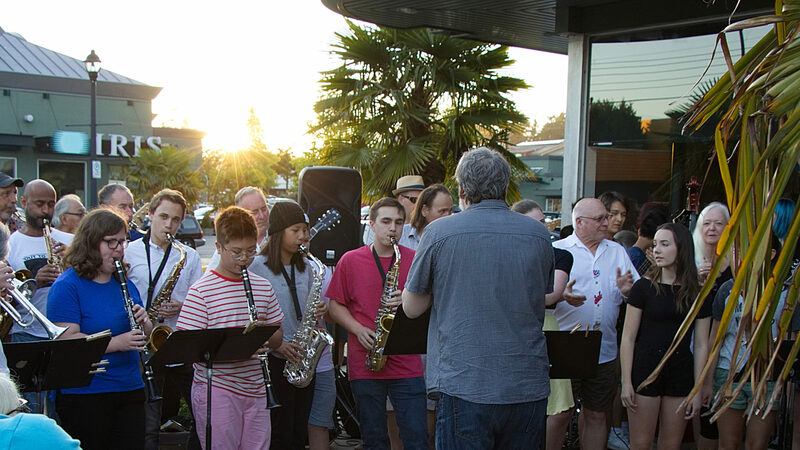 For further information, to apply for the bursary or to make a contributing donation please see http://southdeltajazzfestival.com or contact the DCMS music director Stephen Robb at 604-946-1280 or srobb@dcms.ca.